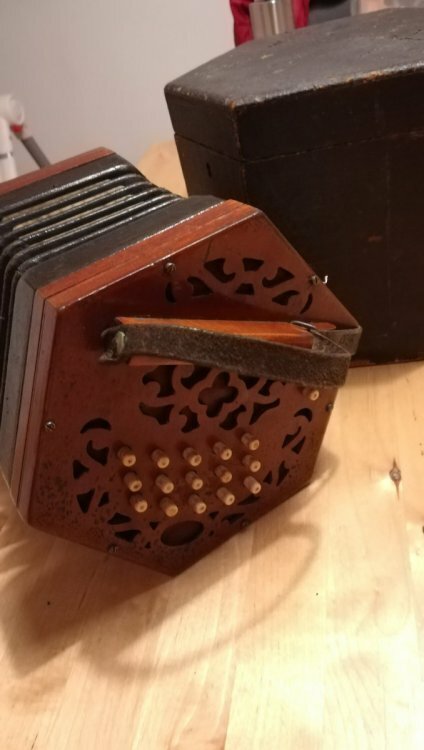 I have been given a Lachenal concertina (the label has gone). It is the Anglo Chromatic system. It has mahogany ends and 5 fold bellows, making it at the student level? There is an embossed trade mark showing the outline of a reed and English Make. However, I'm not sure if it has steele or brass reeds. Is anyone able to tell me when this was made approx, its serial number appears to be 85280, its value as I am looking to sell and lastly advice on where best to sell it. Hi Dowright, thank you for responding. This is very much unknown territory for me, it belonged to my Dad who sadly passed away recently. 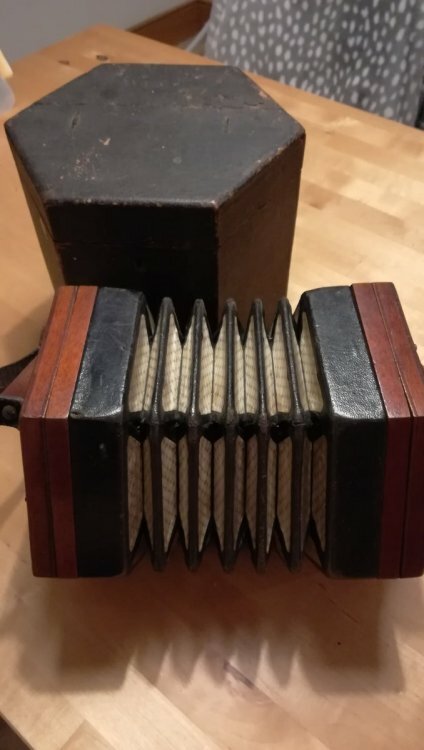 How do I find out whether it has steele or brass reeds? Will I need to take a look inside?